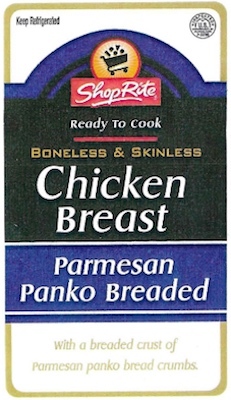 US/Washington: Amboy Group, LLC, a Woodbridge, New Jersey establishment, recalls an undetermined amount of Raw Boneless and Skinless Chicken products due to suspected mislabelling and consequential undeclared Egg, Milk and Soy, all known allergens, sources of dietary intolerance and possible triggers of Anaphylaxis, a serious and potential fatal situation, requiring immediate medical intervention. 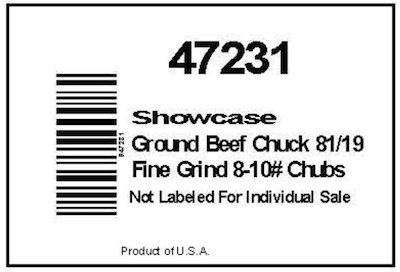 US/Washington: JBS Tolleson, Inc., a Tolleson, Arizona establishment, expands its existing recall for various Raw, Non-Intact Beef products, including dozens of Raw Ground Beef products to include an updated total of 12,093,271 pounds of Beef products. 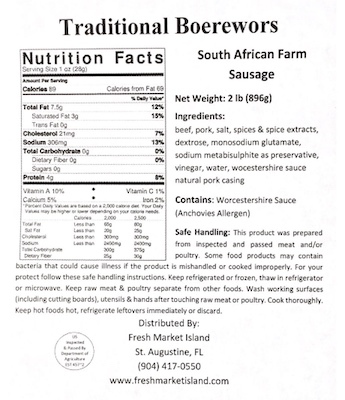 The original recall was initiated due to suspected risk of Salmonella Newport contamination and consequential risk of Gram-negative bacterial infection, severe illness and/or possible life-changing complications, all serious health hazards. US/Washington: JBS Tolleson, Inc., a Tolleson, Arizona establishment, recalls an estimated 6,937,195 pounds of various Raw, Non-Intact Beef products, including Raw Ground Beef products, due to suspected risk of Salmonella Newport contamination and consequential risk of Gram-negative bacterial infection, severe illness and/or possible life-changing complications, all serious health hazards.